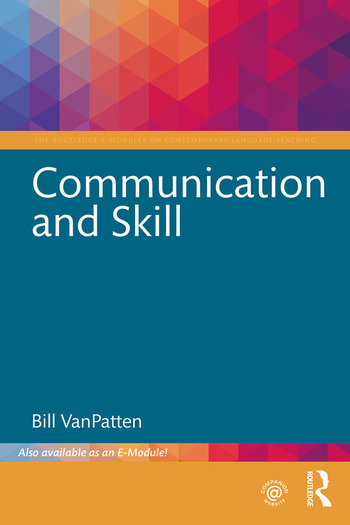 In this module on communication, the reader explores the nature and consequences of a particular definition of communication: the expression and interpretation of meaning in a given context. Special attention is given to context (i.e., physical setting, participants, purpose of communication) and how these impact how we think about communication in language classrooms. Bill VanPatten is Professor of Spanish and Second Language Studies at Michigan State University, USA.